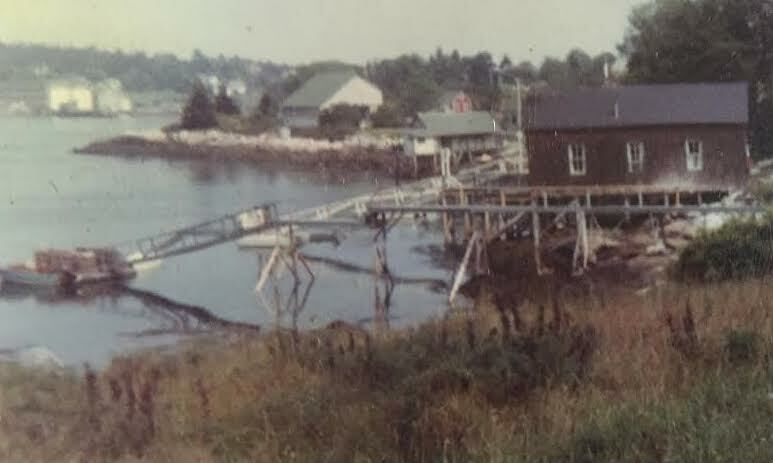 My family went to South Bristol, Maine, for a few weeks every summer from 1958 through 1971. 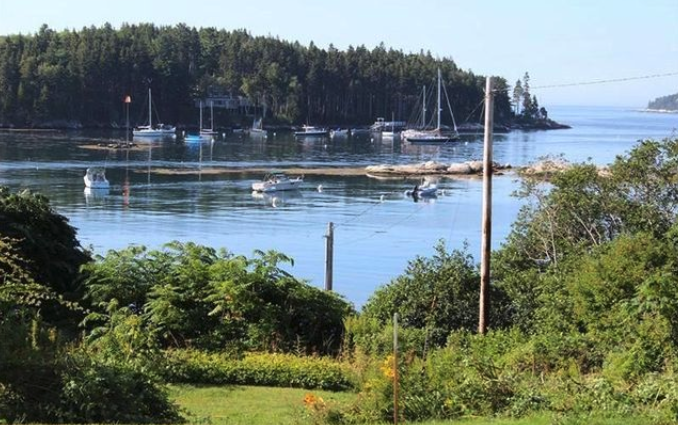 For the first two summers we rented the large house in the background, on Long Cove. After that, we rented the converted brown-shingle boat house in the foreground, shown here at low-ish tide. Driving into Maine on Highway 1, you pass through Wiscastle. 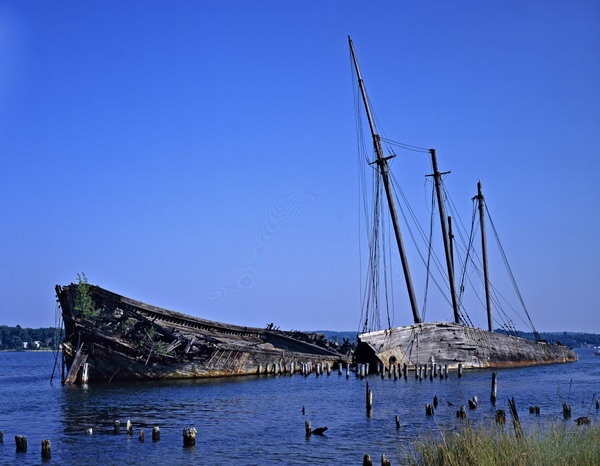 In our youth the hulls of two abandoned schooners were clearly visible. Now, not so much. You come to Damariscotta. 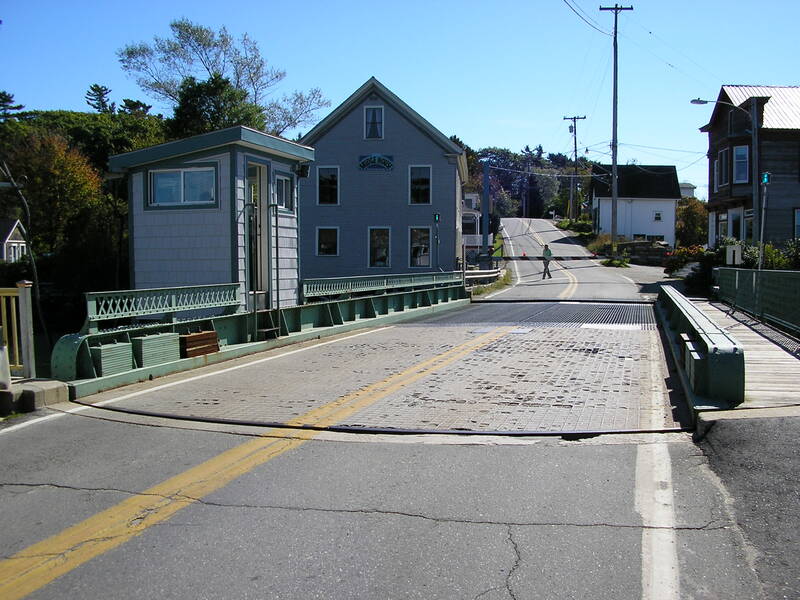 In the Abenaki language, Damariscotta means “river of little fish.” You turn downeast and it’s about 15 or 20 minutes on a two-lane road to South Bristol. When you were a kid about to come to your summer vacation, it was a long drive. 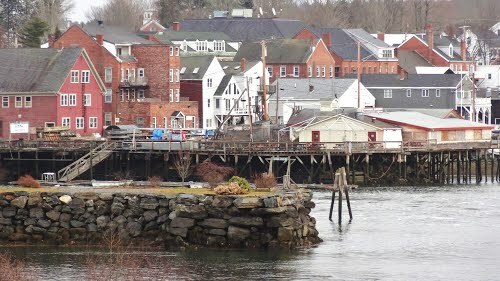 South Bristol is on Rutherford Island, connected to the mainland by a small swinging drawbridge. There is a new bridge now. This is the bridge that I knew. I have strong memories of standing on the bridge as it swung open when I was boy. 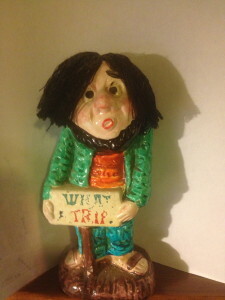 And then of sitting listening to “Brown Eyed Girl” with my friends Criswell (then just Cris) and Van in the summer of 1967 in my family’s 1963 Ford Country Sedan, waiting for a boat to pass through and the bridge to close. 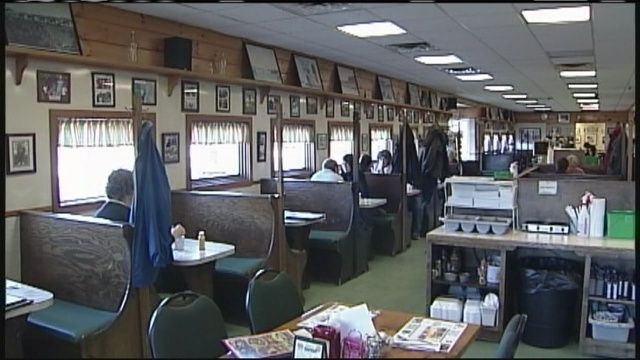 South Bristol is a small town – 800 people year-round. When we first went there, it was remote and isolated. 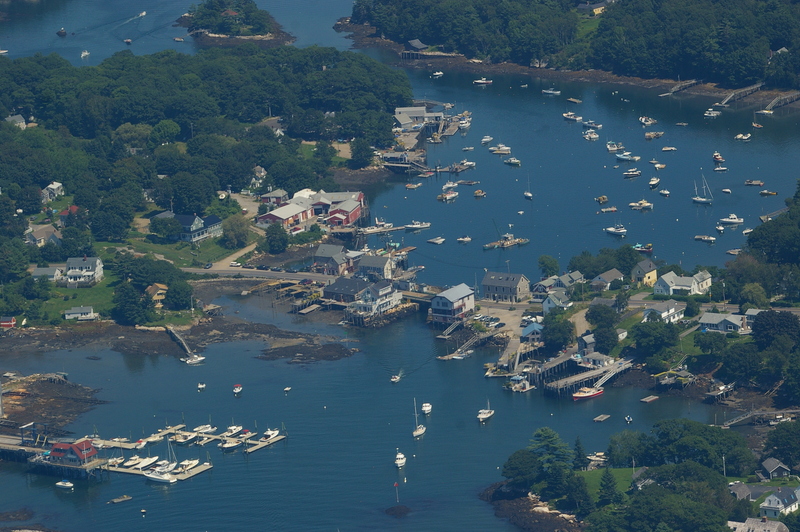 It is a lobstering and fishing village. It is probably the safest place in the world for me emotionally. When I was in critical care at Alta Bates in 2011, sedated and intubated and dancing with death, I imagined in every detail that I could summon a summer day in South Bristol, circa 1962. It gave me peace when I was frightened. 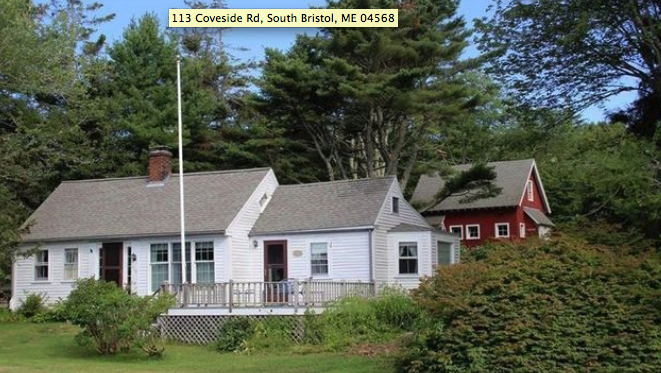 When my Not Simple Life now gets too Not Simple, I search Realtor.com for homes for sale in South Bristol, Maine – zip code 04568. The photos above are my most recent fantasy. Small house. Yard. On the water. Rowing a dory off Gem Island, Johns Bay, South Bristol in the 1990s. I wonder if I will wear collar button shirts when I stop working. 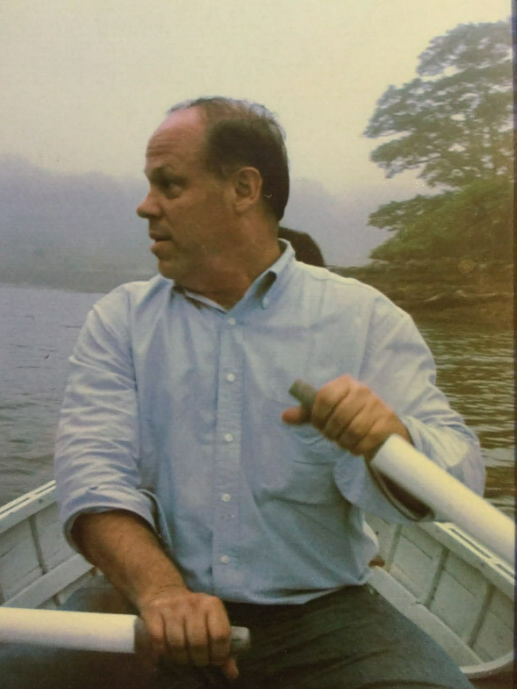 My fantasy Simple Life – writing and reading and music and walking and gardening and rowing – dory probably the rowing boat of choice. Lilacs, peonies, and tiger lilies. Watching the lobster and fishing boats come and go. Once a week a trip to Damariscotta for groceries. 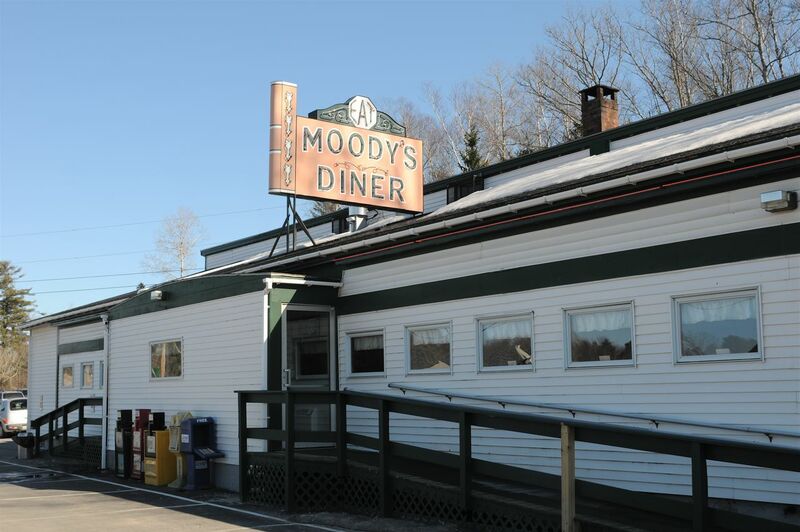 Before grocery shopping, drive north to Moody’s Diner and have blueberry pancakes – once a week only. My parents, especially my father, had dreams of a simpler life. 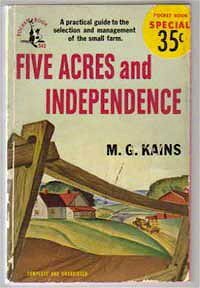 Five Acres and Independence was a guide for him. They saw their move to Yuba City in 1975 as a move towards a simpler life. Whether it was or not, he only lived 18 months after that move. He had one summer there gardening – lots and lots and lots of tomatoes. I think that when I stop working I will have a simpler life. No telling how I will do with the Simple Life that I sometimes find myself longing for now. For the time being, just fantasies – of a little house in South Bristol, or a 1960s Air Stream trailer (in the desert?) or an apartment in Normandy Village on Spruce or a bungalow in a bungalow court. I believe that there is little difference between a fantasy and a memory. I wander into fantasy without shame. « Quirky Berkeley – the book – is here now! Who knew? The smell of the lobster bait and creosoted wharf and salt water and boat fuel – intoxicating.